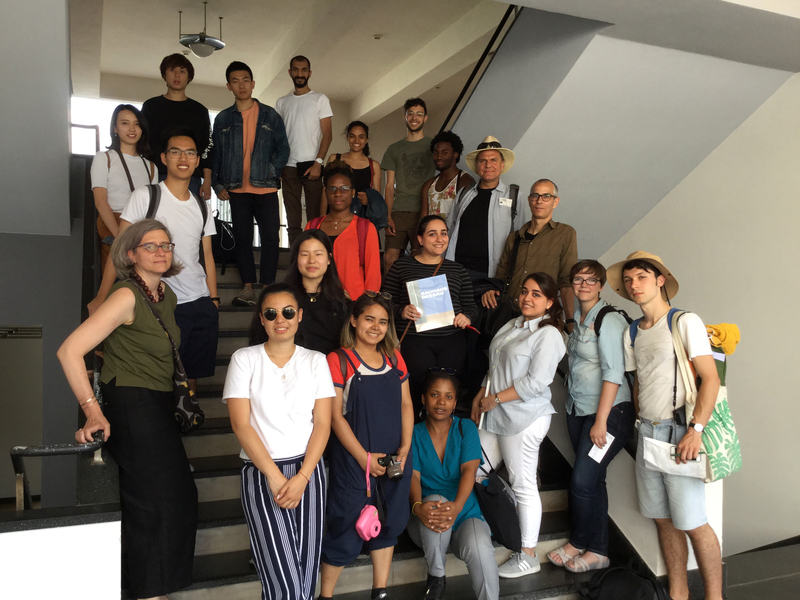 Four Iowa State University architecture students — Zhelei Chen, Kaylinn Taggart, Zhoujian Sheng and Zihan Yu — joined peers from German University of Technology in Oman and the City University of New York for the Summer Academy Berlin for five weeks in June and July to study “Berlin Panke: The Hidden Stream.” The Panke is a small river with its source northeast of Bernau in Brandenberg. The final stretches of the lower Panke run through Berlin’s inner-city districts of Gesundbrunnen and Wedding, in front of the Alte Kantine Wedding, which served as the program location. The Panke is canalized and mostly underground. Pedestrian walkways run alongside or near it for lengthy stretches. It is becoming part of the north-south hiking patch through Berlin, which enables the crossing of the city on foot and connects to the Glesdreieck park to the south. The Berlin Summer Academy project investigated the urban qualities along the Panke in Wedding centered on the Alte Kantine Wedding site and proposed a series of public and/or private interventions on the urban surface to respond to Berlin’s housing challenges, investigate new urban surfaces and address the river as a border and connector in the studied neighborhoods. The focus was on creating mixed-use infill opportunities that considered environmental design parameters of light, solar radiation and air flow as major drivers for design decisions.